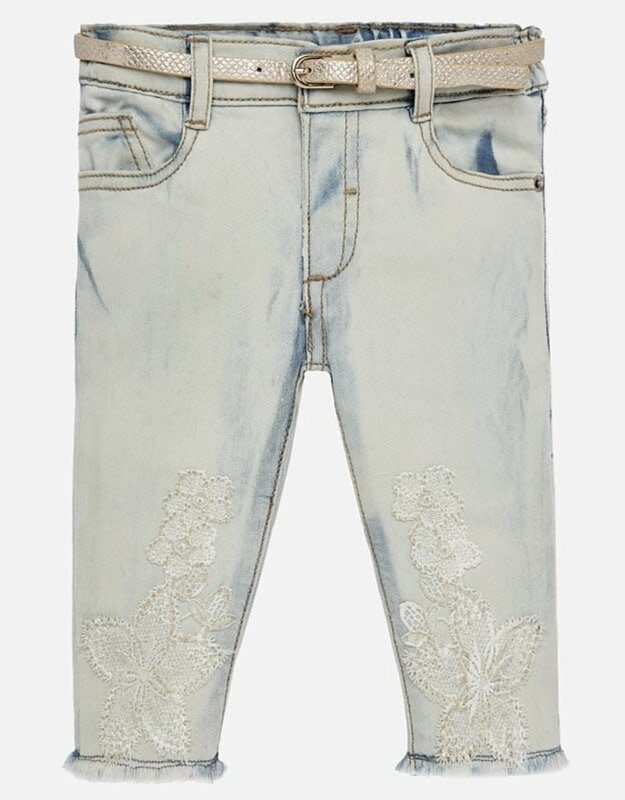 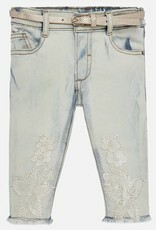 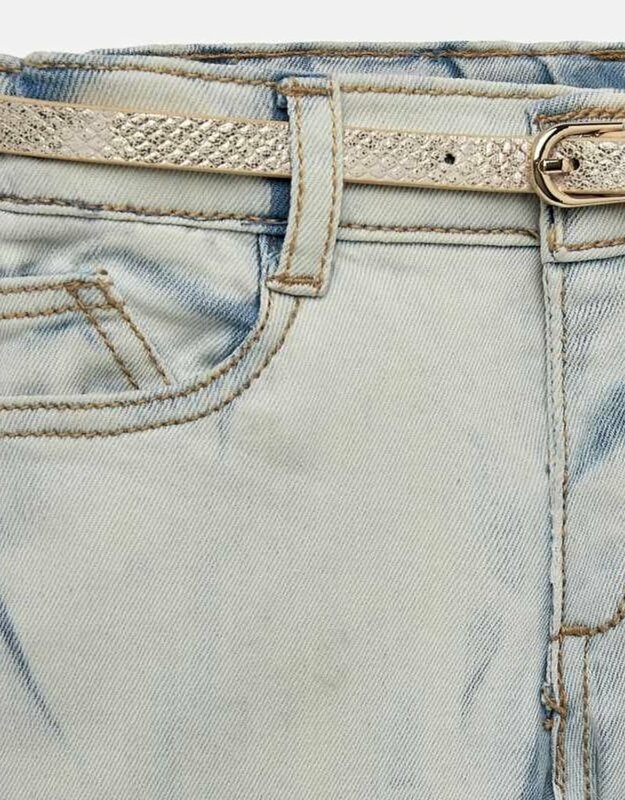 Mayoral's baby girl bleached denim pant have a gorgeous gold shimmer flower detail. 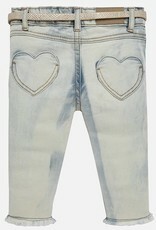 They also have an adjustable waist with a bit of stretch for comfort. 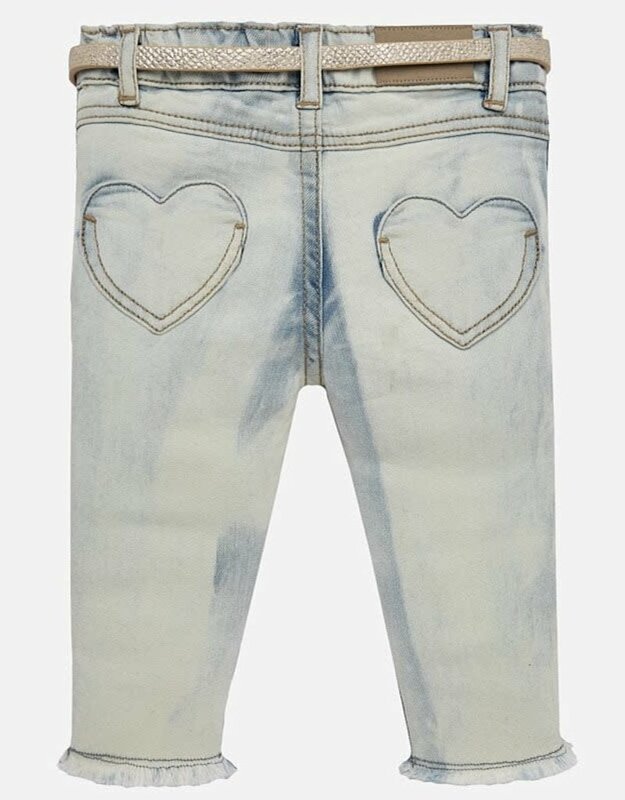 These pants match perfectly with Mayora's Teddy Tee. 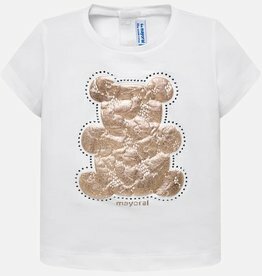 Mayoral baby girl gold teddy bear tee looks amazing with denim.